Campaign groups are to stage Halloween protests to highlight "archaic" behaviour by some employers towards pregnant women. The demonstrations on Halloween day will be held in Westminster and Belfast led by Pregnant Then Screwed. The project is calling for improved employment and childcare arrangements, including increasing the limitation on bringing a discrimination case from three to six months. Several groups including Working Families and Parental Pay Equality are supporting the protest, being dubbed March Of The Mummies. Joeli Brearley, founder of Pregnant Then Screwed, said: "March Of The Mummies is our first demonstration, and we are encouraging those attending to dress up as mummies (the walking dead kind) to highlight the archaic behaviour of some employers today. "Despite many advances in gender equality, maternity discrimination is rife and discussion remains taboo. "Therefore our march is an opportunity for us to collectively come together and have our voices heard." Sarah Jackson, chief executive of Working Families, said: "We hear from women experiencing maternity and pregnancy discrimination every single day. "There is no place for these illegal practices in British workplaces, and no woman should lose her job simply because she's had a child. 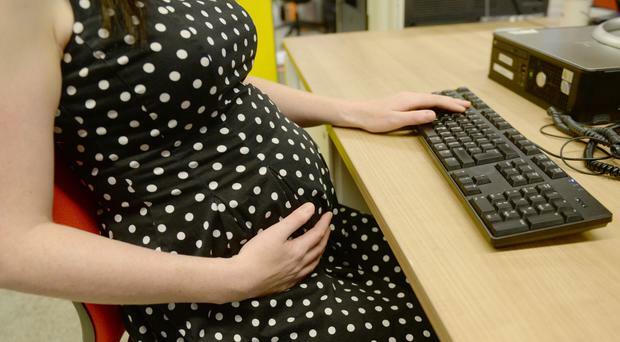 "The Government should urgently make a six-month time limit for pregnancy and maternity employment tribunal claims the norm - it's simply not good enough to rely on tribunals granting extensions as a favour to women who have been discriminated against."